Do you mind having a new iPhone 7 as soon as possible? Well, if you don’t, your wish will be granted in a few months’ time, unless Apple has other plans regarding its traditional iPhone release date. Of course, the millions who currently use older variants of the iPhone are probably looking out for a new device to replace their aging ones. However, what kind of device would one want to replace their current one – a much improved one, definitely! If this is you, there might be some disappoints awaiting you along the way. It has already been speculated over and over that the next iPhone 7 will come without the universal 3.5mm headphone jack and instead, a lightning port will be favored. 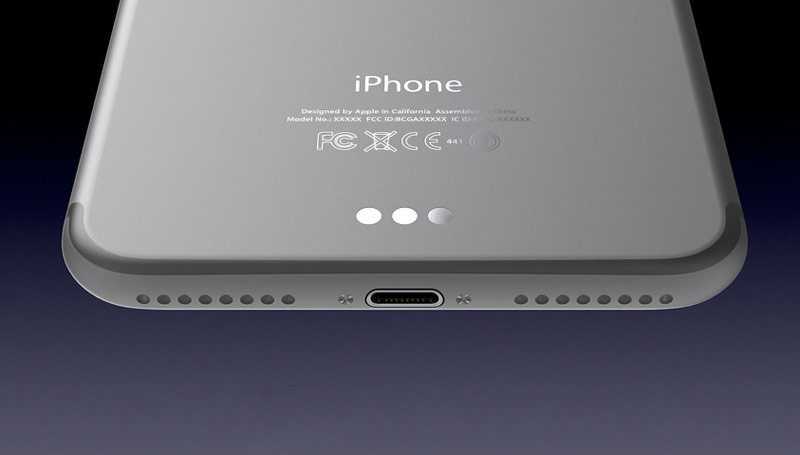 Now the latest rumors suggest that the successor to the iPhone 6S will drop the rumored Smart Connector. The Smart Connector had been rumored to be on the way and even showed up on an earlier leaked photo of an iPhone 7 prototype, something the always reliable source, Mac Otakara, claims Apple will drop from the final design of this smartphone, including the larger iPhone 7 Plus. Someone might be asking, what’s a Smart Connector? Well, Apple rarely adds bogus features to the iPhone, but the fact that this feature will not be added to the iPhone 7 might mean something even better is coming. As for the Smart Connector, this is a feature that first saw light with the iPad Pro lineup and it is used to prompt the Lightning port to deliver both data and power services at the same time. In short, whenever you plug in a third party accessory, say a keyboard, you won’t have to charge it or add a battery. Well, this is a good feature for those using the Apple tablet for they can do with more accessories. But is it really necessary for a 5.5-inch iPhone 7 Plus to have, say, a keyboard accessory? Nonetheless, this means that the iPhone 7 will be denying third parties the chance to come in with sleek mini keyboards, headphones and other accessories that take advantage of the Smart Connector on the iPad Pro models to deliver enhanced experiences. As for the rest of the iPhone 7 design, there is really nothing much that Apple has changed when compared to the iPhone 6S and 6S Plus. However, it seems confirmed that the 3.5mm headphone jack will be missing from the upcoming iPhone flagship. While some expected that Apple might use the internal space created after the removal of the headphone jack to maybe bump up the battery size, this will probably not be happening. In fact, renowned Apple analyst Ming-Chi Kuo has had the courage to claim that the iPhone 7 will come with very few attractive selling points, something that should benefit Samsung even more considering the excellent start to life for the Galaxy S7 and S7 Edge.